Growing up, how many times did you complain about having to go to school? In the Western world, education is often taken for granted and sometimes seen as a chore. Elsewhere in the world, to receive an education – even a basic one – is a right that some children have to fight for. They must overcome significant challenges just to attend school, their grit and determination to learn serving as a lesson for us all. 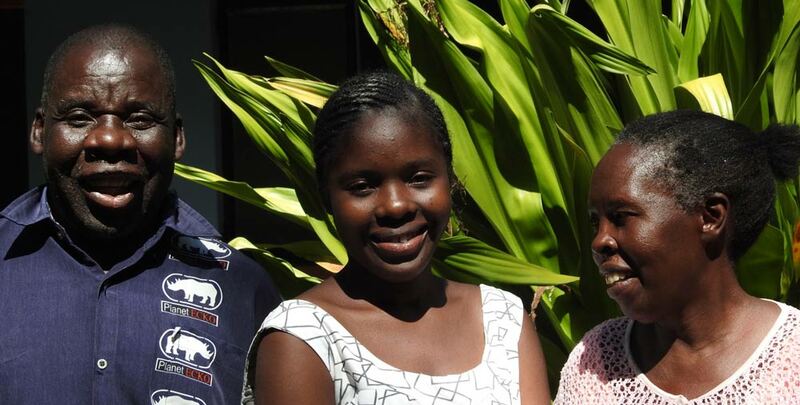 One such student is Justina, who lives in a rural village in Livingstone, Zambia. As the youngest child and only daughter in a family of seven, it was always going to be a struggle to afford to send her to secondary school. Justina’s family has faced their own challenges, both past and present. Money and food are often scarce, and Justina’s four brothers must all work to help support the family. But, Justina is determined to make a better life for herself. Through the African Impact Foundation’s Sponsor a Child program, she received sponsorship from Sam Peisch and ZAMFUND. Education remains a privilege for many children in Zambia, with just 8% of youth completing secondary school. Facing barriers such as unaffordable school fees due to insufficient government funding, a lack of places in classrooms, and too few trained teachers; a child’s road to education is anything but simple. The Foundation’s Sponsor a Child program has successfully facilitated the education of over 150 vulnerable students in Livingstone, removing the financial barriers to attending school with the support of sponsors from around the world. Justina’s story does not end here. Earlier this year she was accepted into the highly competitive Yale Young African Scholars program (YYAS) – a summer school course held in Ghana for high-achieving African students. Justina’s acceptance into the program is testament to her academic ability and commitment to her studies; an opportunity made possible not only through her sponsorship, but also her own personal drive to succeed and achieve her goals. Having overcome so many obstacles at such a young age, Justina has already started looking towards her future – she harbours dreams of attending university and studying medicine to become a doctor, or perhaps turning her mind to business. The YYAS program will be immensely beneficial in preparing Justina for her future university study, as well as connecting her with other like-minded students from across the African continent.